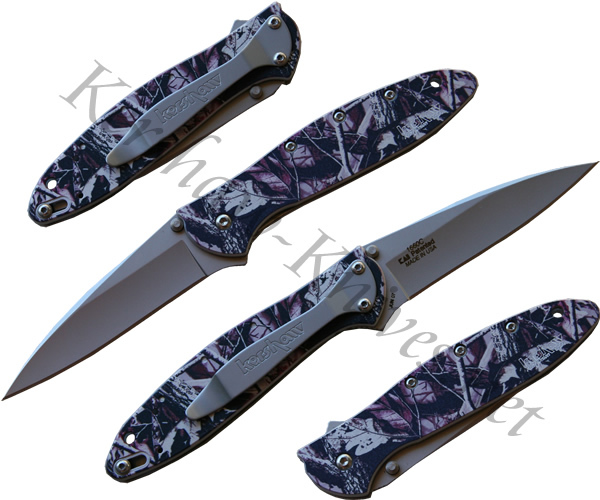 This Kershaw Leek knife model 1660C is an exclusive and has a unique camo pattern on the handle. Other than that it is the same high quality that you have come to expect from the Kershaw Leek knife line. Enjoy the slender and quick 3 inche assisted opening blade that locks into place with the liner lock mechanism in the handle. Prevent accidental opening with the integrated safety lock in the handle. The pocket clip can be mounted on either end of the knife to allow you to carry the knife tip-up or tip-down.